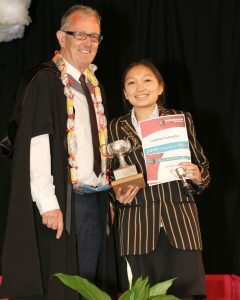 Our annual Prizegiving event is an opportunity to celebrate the achievements of our senior students. The day was a resounding success, and enjoyed by all who attended. Congratulations to all of our prizewinners, with a special mention to Caroline Dumogho who was named as Dux Litterarum, our top academic honour.